City manager Wally Bobkiewicz speaks at a meeting. The city is proposing a progressive real estate transfer tax referendum to be voted on in November. A referendum proposing to modify the real estate transfer tax so it becomes a progressive tax will appear on the November ballot in Evanston. The current real estate transfer tax is a flat rate of 0.5 percent — or $5 for every $1,000 — for all property sales and transfers. If the referendum passes in November, the 0.5 percent tax rate will continue to apply to property sales less than $1.5 million. However, it would increase to a 0.7 percent tax rate for property sales between $1.5 and $5 million, and 0.9 percent for property sales $5 million or more. A real estate transfer tax is a one-time tax charged whenever a property changes ownership, said Paula Worthington, a senior lecturer at the Harris School of Public Policy at the University of Chicago who spoke on a panel Sunday about the proposed referendum. Sellers in real estate transactions carry the legal responsibility to pay the tax, she added. 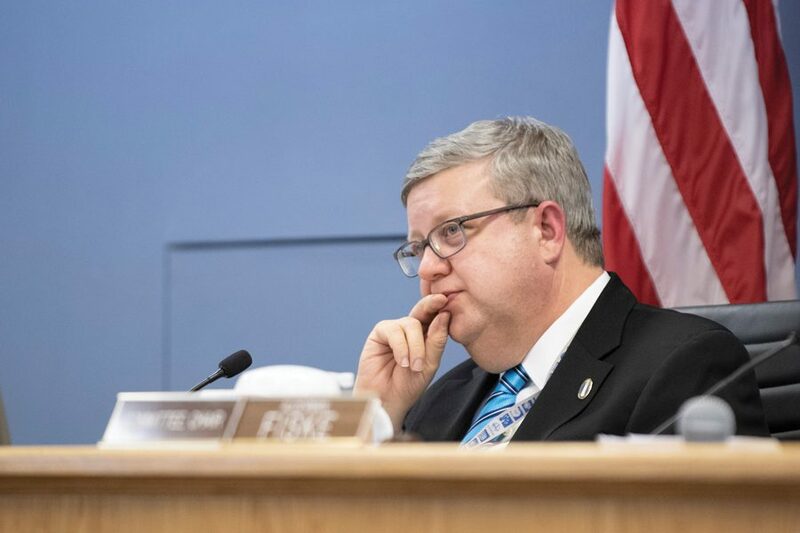 The proposal arose as a way of generating additional revenue to help balance the city’s budget, which contains an estimated $7.4 million deficit for 2019, city manager Wally Bobkiewicz said. City staff brought the idea to City Council’s attention, Bobkiewicz said, and Ald. Ann Rainey (8th) came up with the proposal, which was approved by the council in August to appear on the ballot. The city anticipates an additional $800,000 in revenue if the referendum passes, said Hitesh Desai, Evanston’s chief financial officer and treasurer. The current transfer tax generates about $3.5 million in revenue, so the projected revenue would increase to about $4.3 million, he said. Revenue generated from the real estate transfer tax goes toward the city’s general fund, Desai said. It would then be put toward social services, such as public safety, the police and fire departments and infrastructure improvements, he said. Progressive tax structures like the one being proposed are not common in states and localities, Worthington said, though they have been implemented in New York and New Jersey, among other places. The resulting impact, she said, has been that buyers and sellers agree on a price point just below the increased tax threshold to avoid having to pay a steeper tax rate. However, it isn’t clear if having a progressive real estate transfer tax discourages certain high-value transactions from taking place, she said. Worthington said relying on revenue from the proposed tax could present challenges in managing the city budget. Bobkiewicz said the city is “mindful” of the revenue’s volatility and would take note of the city’s economic state when determining the anticipated revenue to go toward the fiscal budget. Individuals selling property valued at less than $1.5 million would not be affected if the referendum passes, Bobkiewicz said. The impact, he said, would be on higher-priced transactions.